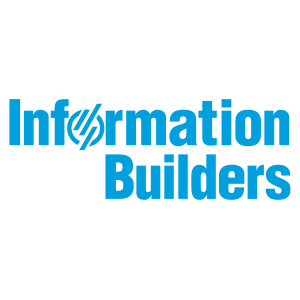 Information Builders’ Data Management Platform is powerful enough for organizations to have complete administrative control of their most vital data assets. Work for Information Builders Omni-Gen/iWay? Learning about Information Builders Omni-Gen/iWay? The built-in reports can be used quickly to identify and issues in the data, in any data processing environment. It is particularly useful during ETL or data validation before building any statistical models. Typically a lot of time is spend on generating summary statistics and identifying problems with the data, which IB Omni-Gen is able to quickly generate. The processing speed can be slightly slower for extremely large amounts of data (i.e. web log data). The data connectors did not support everything we were looking for. The Data Integration module had a very retro look to it from the 90s. "Omni-Gen (Data Quality Suite) Review"
I do like the GUI interface. I have worked in both the Integration side and the Data Quality side, with most of my training/work on the Data Quality side. I do like the interface , the tools are pretty straight forward and easy to use and figure out. Also, i do enjoy the support staff. I have forged a good relationship with many like Walter Zublionis, Lou Deturris, Jeff Paoletti and Craig Sanders. They have been very attentive to my needs, and make any issues with documentation less painful. Documentation. Many times we are required to do something beyond the basic scope of the tool. Documentation can many times be hard to come by, or difficult to understand. Be very detailed in what your requirements are, and if you know the intricacies of what you'll need , analyze them as early as possible. Any possible hurtles can be cleared up early in the process and will make it a lot smoother down the line. Our business typically used to take a reactive approach where we correct problems/inconsistencies with our data, after the fact. But now our business is changing to be more proactive, and to correct problems upon entry. This has reduced many data inconsistencies and work from end users on the backend to have to cleanup the data. "Simple mapping from data model to usage"
Simple to use and understand by both developers and business users. Graphical coding when getting iWay to do what I want isn't obvious is frustrating (my experience is with 7, though). DMP would be used to assist in validating and cleansing data from multiple sources, particularly imports of existing customer bases purchased by the company. Currently, ISM is used to support business control flows triggered by data availability and a forwarding and simplifying resource for web services (isolating our database server from the web). Regarding our MDM, I like the peace of mind that comes with knowing that when we cleanse massive amounts of data, it's safe and secure, as well as complete. The data management platform is a fantastic foundation. Cloud installation solutions are traditionally a problem for me. I have to rely heavily on cloud as local isn't an option. When getting deep into cleansing towards the end of the day, uploading can show way down. Obviously this mainly falls on our network, but I feel the packet distribution on the software side could be better. Scattered, incorrect and mismatched data. The data platform has helped up consolidate our records and give us a single source of truth. "A one stop manaster data management platform to get Data governance implemented in any orginization"
More practical training for end developers and implementers will increase the take up of this platform. The UI it self need a better out of the box look and feel. This will improve user experience in implementation. I'm loving how iWay is able to perform all the "magic" necessary in ETL in a stable environment. I'm excited about the new version 8 interface and looking forward to all the new featured as highlighted by Inessa during a TechTalk with her. The dislikes were in the user interface, but looks like the new 8 addresses some of those. "Very good software for explaining company data"
I really liked the infographics produced, I believe they make it look very professional versus other free websites online. Also, the software is easy to use. At this time, I did not experience anything I disliked. As a visual learner, this software helped immensely to better explain and communicate company data in meetings. The infographics were good to use for company projects as well and proposals. "Omni Gen labs were great!" The hands on labs were great and easy to understand! I wished there were more on-hands labs and virtual sessions. We have not implemented iWay we are in the process of discussions. We are new to iWay platform, I believe there is a need for it in our sector of business, it can revolutionize our processes and building more standardized reporting capabilities. "Householding and Products Project Team"
My experience with Information Builder's Technical team has been really great. The technical team is very knowledgeable and what I like best. There is nothing that I can say that I dislike about the product. "iWay Legacy to Modern data management practices"
The nature of the product evolving from customer driven demand is a great selling point of the technology. We work with many companies challenged with an enterprise integration strategy that benefit from the iWay stack. "omni-gen review at summit 2017"
iway integration and the useful tools for anyone. So far i like the product and will talk with manager to consider. This program is easy to use and functional. The look is not modern, but not out of date. Would Recommend to use. The 8.0 road map for iWay look to enhance the robust functionality of iWay 7.x and make development even more streamline pairing this with Omni Gen will allow the business units to participate in validation of the mastered data. The package is still fairly complicated to install. EDI data processing has improved using this tool set. "Excellent platform to master our data"
The only thing to dislike is that there are not many users using this tool at the moment, so the user community is small. Hospitals do not compare to our business unfortunately. I thought the Builders MDM Suite was easy to use and had everything needed to complete my project on time and efficiently. I had a few glitches along the way that slowed me down, took a while to figure out exactly how to use parts of the program. I've realized there are many benefits to this product and it helps me solve many of our business needs. New product ... will need more work on the Data Entry application - make the GUI for Master Data entry customizable. Excellent implementation and support team. Monitoring and error notification needs a lot of improvement. * We monitor all Information Builders Omni-Gen/iWay reviews to prevent fraudulent reviews and keep review quality high. We do not post reviews by company employees or direct competitors. Validated reviews require the user to submit a screenshot of the product containing their user ID, in order to verify a user is an actual user of the product. Hi there! Are you looking to implement a solution like Information Builders Omni-Gen/iWay?